Join the residents and businesses of Murphys for our annual Open House Celebration & Parade. 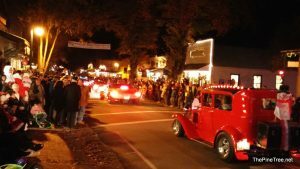 Every year on the first Friday in December, we celebrate the start of the holiday season with a community Open House from 5 to 8 pm on Historic Main Street. Admission is free, Main Street is closed to traffic and we are ready to celebrate the winter holidays. Chestnuts will be roasting, carolers will be singing, and Santa will be visiting! A favorite of locals, the evening features a parade, holiday treats, and entertainment hosted by Main Street merchants, restaurants, wineries, and the Murphys Business Association. Santa and Mrs. Claus will be available for photos with the kids in the Native Sons Hall. Bring your phone or camera to snap a picture or let our photographer capture the moment. The New Horizon Band will again be providing music in the Native Sons Hall and Road Trip Espresso will be offering hot drinks for sale nearby. Each year the merchants, wineries and other businesses of Murphys put on this event to help all of us find our holiday spirit, show off our beautiful and friendly little town and, most importantly, say thank you to locals and visitors for their support throughout the year. 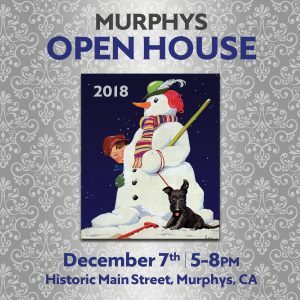 Open House is a fun time to visit Murphys’ shops, tasting rooms and restaurants, see what’s new and visit with friends, while warming yourself around the fire-pits manned by our local Boy Scouts. Make sure you also visit our side streets and nooks and crannies just off Main Street. Take a moment to admire the town tree located on the Milliaire patio and provided by Ironstone Vineyards. This year we are also collecting donations for the folks impacted by the Camp Fire. Drop off cash, checks or gift cards at the Native Sons Hall during the event or at Gold Country Roasters, SNAC, Marisolio, The Spice Tin, Creative Cookware, Sustenance Books, Murphys Pourhouse, Milliaire Winery, Tanner Winery and the Calaveras Visitors Center throughout the holiday season. 100% of donations collected by the Camp Fire Community Cash Fund will be distributed to the Paradise and surrounding communities thanks to the Angels-Murphys Rotary Club. More businesses are joining the effort daily so watch for those boxes and donate what you can. The Magnolia Rhythm Trio will be playing at the Murphys Irish Pub during the event, Rewined Designs (located next to the Wine Alliance’s Visitor’s Center) will be hosting kid-friendly activities and photo props and Grover Anderson will be rocking the Newsome Harlow tasting room patio later in the evening. Rewined Designs at the corner of Big Trees and Main Street will be hosting a holiday party after the parade for families. Visit Santa’s Village, pet the reindeer, enjoy music by Ras Beeken Dan and the Murphy’s School of Music, let the kids do some crafts and have a hot cocoa or cider while you hang out. Want to be part of the festivities? Carolers are always welcome to join us on the street! Grab a group of friends and add your voices to the party. There is still time to get your parade application in. Download everything right here and return it ASAP as space is limited. UPDATE: THE PARADE IS FULL AND WE ARE NOT ACCEPTING ANY ADDITIONAL APPLICATIONS AT THIS TIME. The parade begins promptly at 5:30 pm starting at the Historic Murphys Hotel and continues to Big Trees Road, so come early and grab a good spot. Free parking is available at the Masonic Hall, Old Schoolhouse, The Church of Latter Day Saints and behind the Arbors as well as on surrounding streets but please be considerate of the residents when selecting a parking place. Accessible parking is available behind Arbors and at the Masonic Hall. The Black Bart Theater parking lot and Algiers Street between Scott Street and the Hotel will be closed for parade staging until about 6:30 pm. There will be no parking on Main Street during the event. If you are planning on having dinner downtown, make your reservations early. 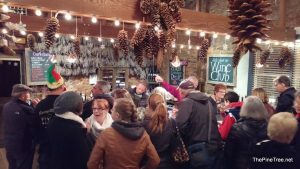 The Calaveras Wine Alliance will be celebrating their Festival of Wines in Murphys on Friday evening and at wineries throughout the county over the weekend so plan to visit Murphys and other Calaveras County wineries on Saturday & Sunday for exclusive tasting, gift specials, and wine pairings. 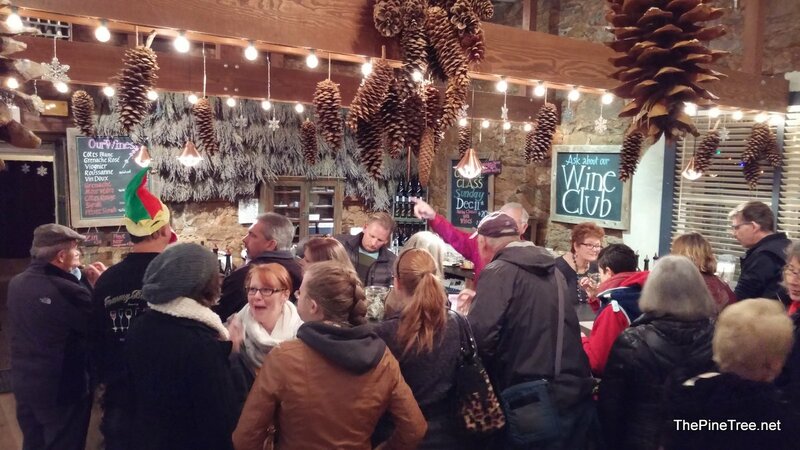 Sip a glass of wine in a cozy tasting room while making a dent in your holiday gift list. Wondering what else is going on in Murphys during the holidays? 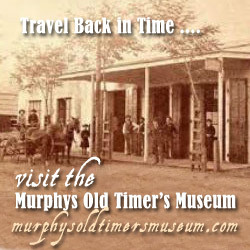 Visit our online calendar at visitmurphys.com.